What Annoys Your Members, What Delights Them and How Does This Relate to Retention? What delights your members and how does this impact member retention and loyalty? What annoys your members and how does this impact member retention and loyalty? 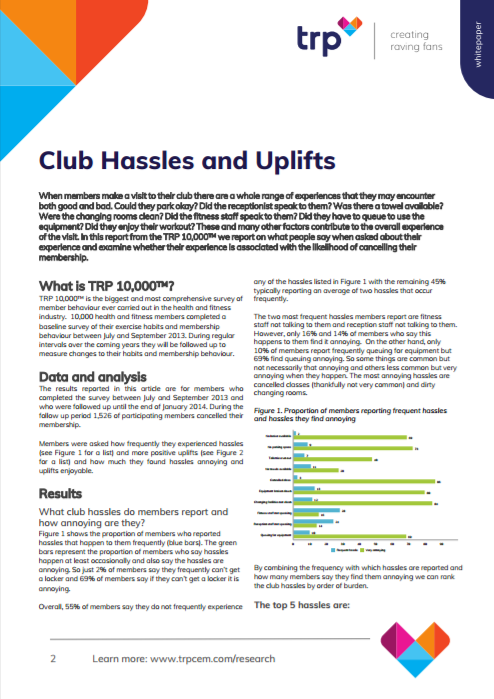 What should health and fitness operators do to harness the power of these findings to promote member engagement and loyalty in their clubs? Subscribe Me to Your Monthly Email Newsletter Containing the Latest News, Views and Educational Articles About Member Engagement and Experience and TRP (You can unsubscribe at any time) .